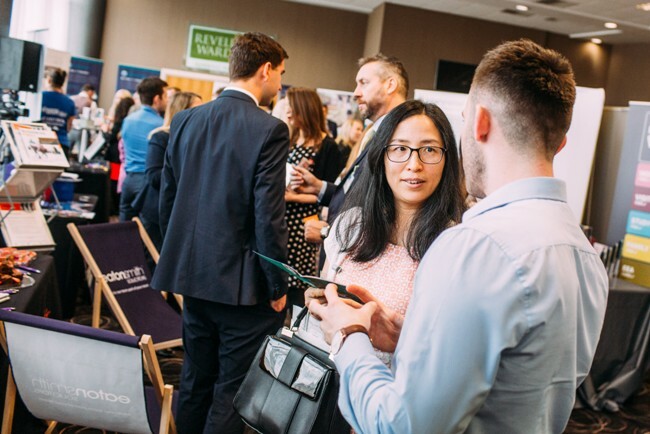 Following on from its success in 2018, the Kirklees Business Conference is back for 2019 at The John Smith’s Stadium in Huddersfield on Wednesday, March 13. The conference aims to reinforce Kirklees as a hotspot for commercial activity in the wider West Yorkshire region and to showcase the thriving business community in the area. The ninth annual conference will consist of 43 exhibitors and a jam-packed seminar programme, including two workshops led by experts from local businesses, a discussion panel and an inspirational keynote speaker. There will also be the opportunity to take advantage of one-to-one business clinics, a business breakfast and to take part in networking drinks throughout the day. New for 2019 is improved sponsorship opportunities enabling businesses to maximise their profile in Kirklees and the West Yorkshire region, plus business owners will be able to meet with speakers and other local businesses at the Business Lunch overlooking the pitch. Kirklees Business Conference also benefits from a brand-new website this year, enhancing marketing capabilities with an aim to attract 1000 attendees in 2019. Rory Bourke, events & sponsorship coordinator, Mid Yorkshire Chamber of Commerce, said: “KBC 2019 is a must-attend event, providing an exceptional opportunity to engage with businesses from all sectors. The conference also provides insights into key topics most relevant to businesses through the conference programme. “KBC is the Mid Yorkshire Chamber’s flagship event that serves the purpose of connecting, supporting and representing businesses. Attending the event will open up more opportunities for attendees.